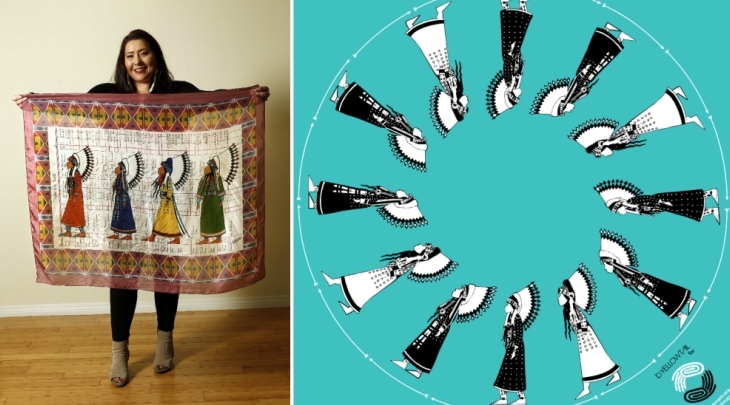 She designed T-shirts, sweatshirts, scarves and water bottles that support Native American activism. Los Angeles-based designer Bethany Yellowtail, 28, is out to flip the script by creating clothing that expertly weaves together a traditional Native American perspective with contemporary silhouettes, and as a result it does something that’s rare on today’s fashion landscape: It carves out a space for truly authentic Native American representation that all walks of life can wear and enjoy. Launched just three years ago, the designer’s B.Yellowtail label has amassed more than 36,500 Instagram followers and a strong celebrity following that includes America Ferrera, Shailene Woodley and John Legend. Yellowtail’s designs and artistic collaborations have also caught the attention of fashion’s ultimate arbiter of taste, Vogue magazine Editor in Chief Anna Wintour. 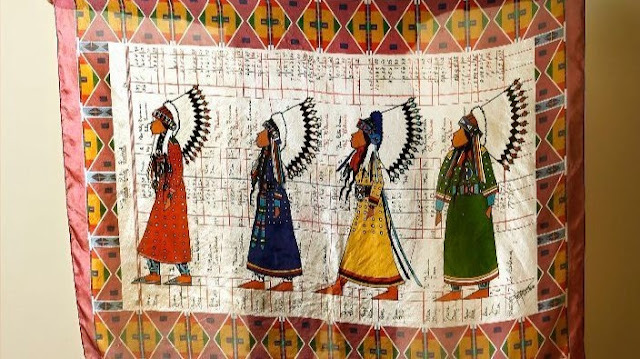 Yellowtail, who hails from the Crow Nation and Northern Cheyenne Indian reservations in southeastern Montana, moved to Los Angeles in 2007 to study fashion design. She graduated from the Fashion Institute of Design & Merchandising in 2009. 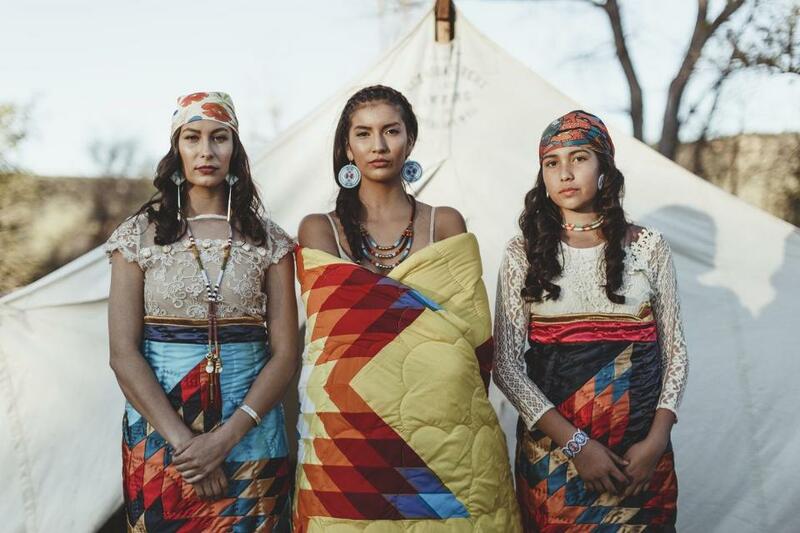 The clothing for B.Yellowtail is manufactured in downtown Los Angeles, but in the future, the designer said she hopes to bring manufacturing back home to her community and to the reservation. “The poverty rate is over 40% on the reservation, and many people are in serious need of work opportunities,” Yellowtail said. She’s also working to support and empower native artists through a second label called the B.Yellowtail Collective that features products from Native American artists across the Great Plains tribal regions. All artisanal pieces are handmade using time-honored methods passed down from generation to generation. These heirloom-quality goods are made in an effort to stimulate the economy and create mobility within reservation communities. 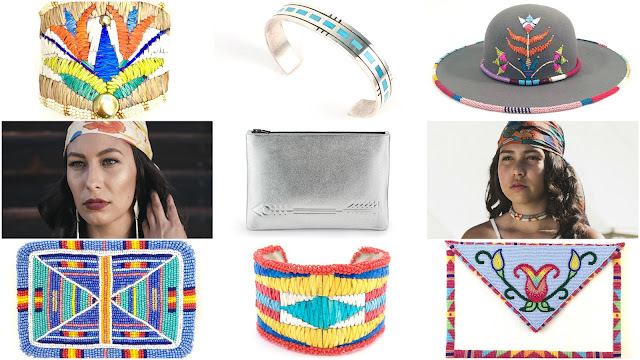 Responses to "Meet Native American fashion designer who's inspiring a whole generation of women"